Police statistics show that in single-family houses and flats on the ground floor or first floor, burglars usually enter through the windows or balcony doors. We can protect our home against this threat by choosing safe anti-burglary windows manufactured in line with strict standards. Forcing entry through such windows takes great effort and is often simply impossible. It is easier to prevent burglary through the windows if we know the most frequently employed methods of forcing through. 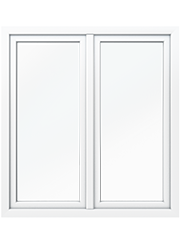 These include: entering through an open or tilted window, force-opening, shifting the fittings or breaking the glass. However, modern anti-burglary windows can handle the burglars’ tricks. When choosing the window, remember that for the window to provide protection, it needs special technical solutions, such as handles, special fittings and glass panels. OKNOPLAST’s Protect Plus safe anti-burglary windows are equipped with a special key lock handle with the strength of 100 Nm, and an anti-drill plate installed in the fitting. These measures provide sufficient protection against the most frequently used burglar tricks, i.e. drilling through the handle fastening bolts. The key lock handle has one more important function. 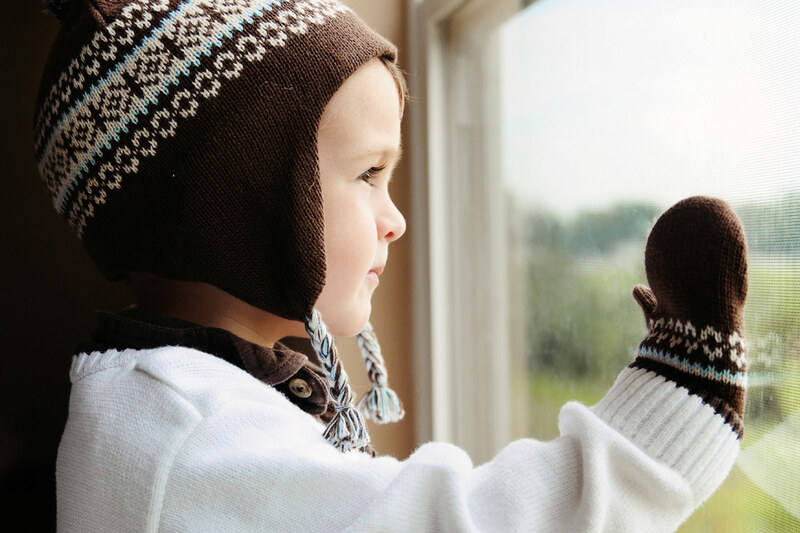 It not only protects our homes against burglars, but also significantly reduces the risk of the window being opened by children. 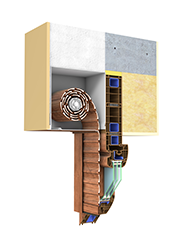 Protect Plus windows also owe their protective properties to innovative Multi-Matic fittings. The fittings are equipped with mushroom striker plates (Safety Plus) screwed to the steel reinforcement and special intelligent security cams. The cams – by engaging the striker plates – make it considerably more difficult to force-open the window. 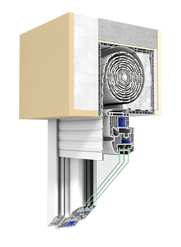 In the Protect Plus window the cams are installed along the entire perimeter of the window, in precisely specified and tested points, which provides even more efficient protection against burglars. Protection against burglary through kicking, hitting, pulling out. Additional protection of each corner of the window. Window handle with key lock or button. Increased protection against burglary with the use of force (as in RC1 windows), and tools such as screwdrivers, pliers or crowbars. Appropriate spacing of the mushroom striker plates. Key lock handle and P4 laminated glass unit made of two panels and four anti-burglary films, and an anti-pulling out mechanism. Special glass panels are essential for anti-burglary windows. In Protect Plus windows we have used a double-reinforced glass panel of four layers of PVB anti-burglary film. The more glass and protective film, the harder it is to break the window. The glass panel used in Protect Plus windows will resist several impacts of a 4-kg steel ball. It should be noted that even if the glass is broken, it does not shatter, because the panel is held together by the protective film. 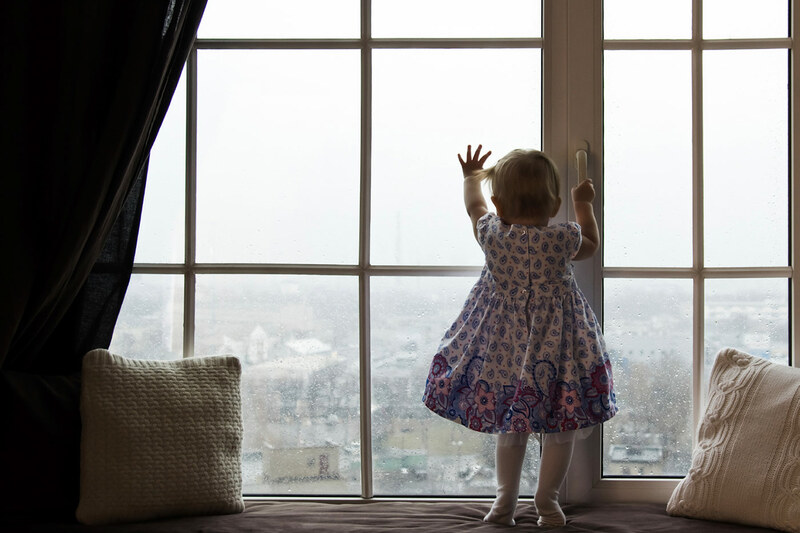 This makes the window not only an efficient barrier against the burglar, but also the perfect solution for children’s rooms, where the safety of the youngest inhabitants is an absolute priority. Along with the increased burglary resistance of the windows, an alarm system can be additionally installed, e.g. with Maco Tronic reed contacts available in OKNOPLAST offer. The reed contacts are connected to the monitoring system and trigger the alarm in the event of a handle movement or a shifting of the fittings. The sensors work regardless of the position of the window sash (tilted or opened). The system also monitors the locking and unlocking of the window. 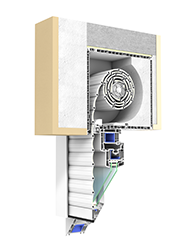 The Maco Tronic fitting is composed of a contact element and a moving element installed on the sash, with an integrated magnetic switch. When the striker plate disconnects from the magnetic switch, an alert message is sent to a security guard company. The small size of the reed contacts make them difficult to locate and bypass. Also, there is no risk of accidental triggering of the alarm, e.g. by one of the inhabitants, since the system is activated only when the window is locked and the alarm system is armed. Along with the increased burglary resistance of the windows, an alarm system can be additionally installed, e.g. with Maco Tronic reed contacts available in OKNOPLAST’s offer. The reed contacts are connected to a monitoring system and trigger the alarm in the event of a handle movement or a shifting of the fittings. 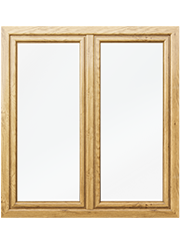 The sensors work regardless of the position of the window sash (tilted or opened). The system also monitors the locking and unlocking of the window. 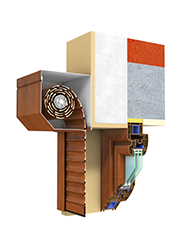 The Maco Tronic fitting is composed of a contact element and a moving element installed on the sash, with an integrated magnetic switch. When the striker plate disconnects from the magnetic switch, an alert message is sent to a security guard company. By using anti-burglary windows we efficiently increase the safety of our home. It should be pointed out that the window itself provides no burglary resistance. 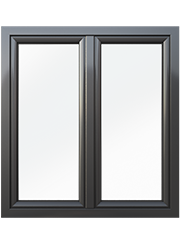 In order for the window to provide protection, it has to be properly installed, strictly according to installation procedures, and confirmed by an appropriate certificate. Only a properly installed window can be called burglary-resistant.